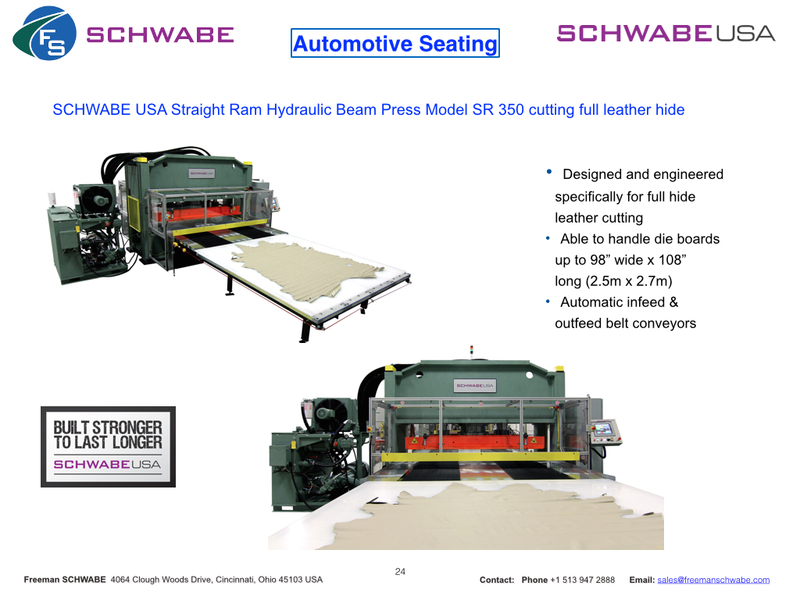 SCHWABE USA hydraulic cutting presses are a popular machine choice in the production of automotive seating, especially for cutting leather hide, full hide or half hide. 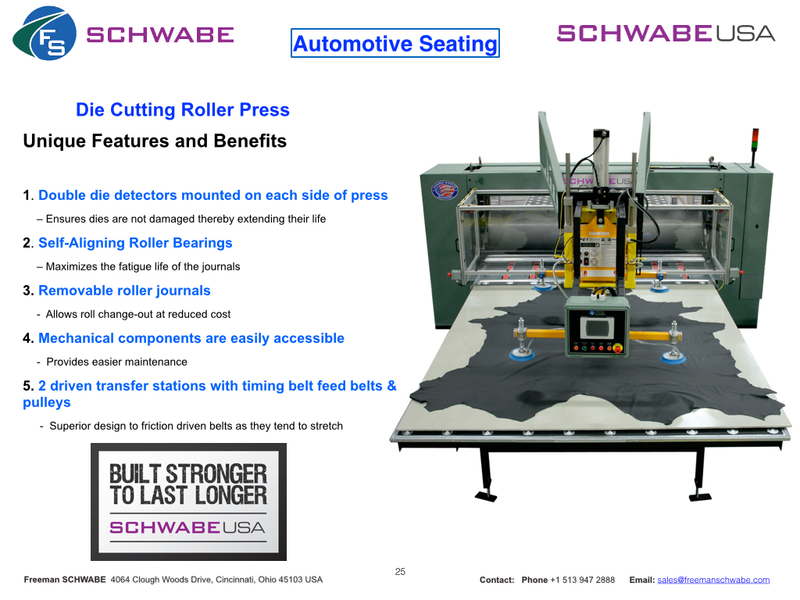 SCHWABE USA Presses and Cutting Systems are rugged, dependable and durable & engineered and built in Cincinnati, Ohio, USA ….SCHWABE USA machines are built stronger to last longer. We will work with you to assess your manufacturing process and deliver the best design solution for your application requirements . SCHWABE USA SR 350 tons Straight Ram Hydraulic Beam Press design allows for full tonnage over the entire stroke of the platen. This entry was posted in Automotive Seating, Leather Hide Cutting and tagged auto seating, leather cutting, leather seating. Bookmark the permalink.